« What Shall I Put In The Hole That I Dig? Anyone who has ever spent time with a dog knows that dogs love sniffing! They sniff out hidden food, dirty socks, and the visitor who comes to the door. But some dogs work with police officers, soldiers, and even scientists to put their “sniffers” to work. Sniffer dogs make use of the amazing biology behind their noses to protect people from bombs, catch criminals smuggling drugs, or help researchers locate a hard-to-find snail in a forest. 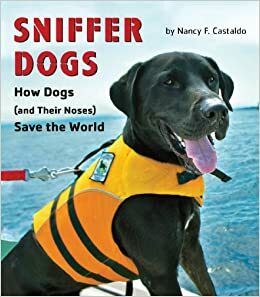 This entry was posted in Children's Nonfiction and tagged Award-winning book, Bank Street, conservation, Crystal Kite, Detection, Dogs, Nonfiction, Scent. Bookmark the permalink. Both comments and trackbacks are currently closed.